On February 2, 2018, CSEWG released its latest revision of the ENDF/B library, ENDF/B-VIII.0. The ENDF/B-VIII.0 (2018) decay data sublibrary is now available in Nucleonica in addition to the previously used decay data library JEFF3.1, and EBDF/B-VII.1. It is now possible to compare and contrast the main European (JEFF3.1) and American (ENDF/BVII.1, ENDF/B-VIII.0) data libraries for differences in half-lives, branching ratios, energies and emission probabilities of the emitted radiations, etc. 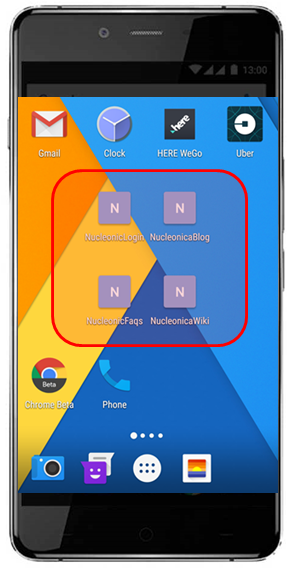 using Nucleonica’s user friendly tools. This data comparison can be accessed through the Options tab of the Nuclide Datasheets++ application. The use of the concise notation is best demonstrated with an example. Research papers often publish half-lives in so-called ‘non-concise’ form. 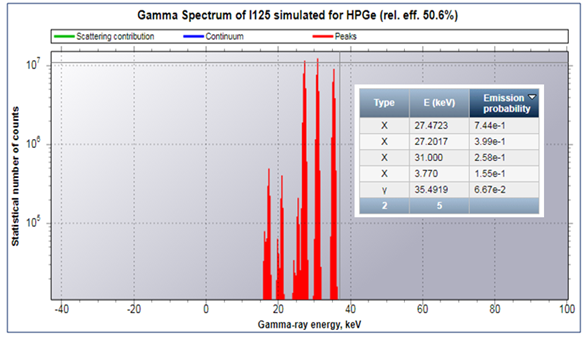 As an example, the half-life of the alpha emitter Gd-148 has been measured to be T1/2= 70.9 ± 1.0y. When this information is published in, for example, ENSDF, NDS etc. a more concise notation is used as shown in the diagram below for Gd-148 i.e. T1/2(y) = 70.9 10 where it understood that the number in italics is the numerical value of the standard uncertainty referred to the corresponding last digits of the quoted result. 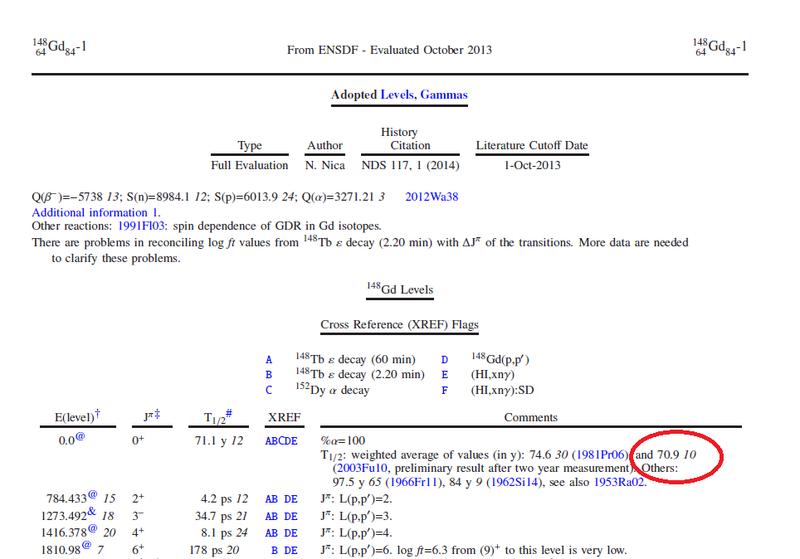 Extract from ENSDF for nuclear data on Gd-148. As another example, the half-life of Po-209 is given in the original scientific paper as as T1/2(y) = (125.2 ± 3.3) a. In Nucleonica’s Nuclide Datasheets, however, the half-life is given as T1/2(y) = 125.2 (33) a. Notice the notation follows that of NIST which is slightly different from the ENSDF above (NIST has the uncertainty in brackets, non-italic e.g. (33); ENSDF has the uncertainty in italic withour brackets e.g. 33). Further examples of uncertainties notations are shown below. For further information see the references below. 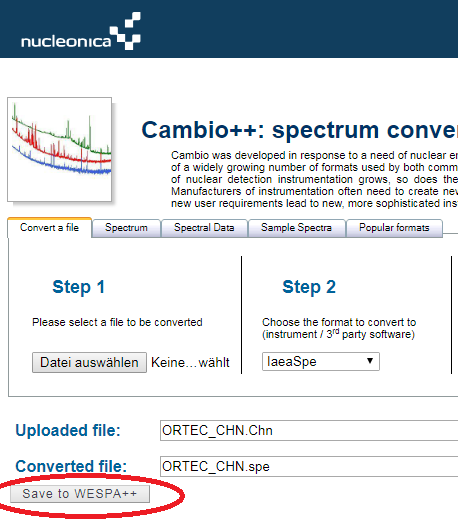 Spectrum files with various data formats uploaded into Cambio++ and converted to (IAEA) .spe format can now be saved directly in WESPA++. This avoids downloading the file and then uploading again into WESPA++. The image shows an uploaded file (ORTEC_CHN.Chn) and the converted file (ORTEC_CHN.Spe) in (IAEA) .spe format. The converted file .spe can be saved directly in WESPA++ by clicking on the Save to WESPA++ button. On Thursday 13 Sept. 2018, there was a complete failure of the main Nucleonica production server (www.nucleonica.com). The server and hard drives had to be completely replaced. The server was reinitialized with the latest Windows Server giving users the benefit of the latest server technology. In the meantime all problems have been resolved. The Nucleonica Team apologizes for any inconvenience caused during the down time. 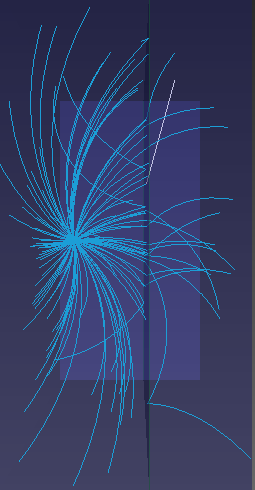 It is now possible to use source terms in Nucleonica’s Decay Engine++. Given the production rate(s) of the source(s) and duration in time, the activity buildup for the parent(s) and daughters (during the production time) is calculated using the Bateman equations with source term(s). At the end of the production time, the source term is switched off and the nuclides decay as described by the Bateman equations with no source(s). As an example, consider the production of Rn212 at ISOLDE in CERN using 4 hours of beamtime. The produced Rn212 will decay to Po208 which has the potential to contaminate the accelerator. The diagram shows the buildup of Rn212 and Po208 during the 4h production period. Thereafter, the Rn212 (halflife 24 m) decays leaving the longer-lived Po208 (half-life 2.9 y) in the system. The Decay Engine++ can also be used in the case of multiple sources. In a first step a nuclide mixture is created containing the quantities of the source components (in Bq, Ci, mole, etc.). Thereafter the Decay Engine++ is used for the mixture. When the “source rate” units are selected (e.g. Bq/s, Ci/s, mole/s etc. ), the source terms are interpreted as source rates. 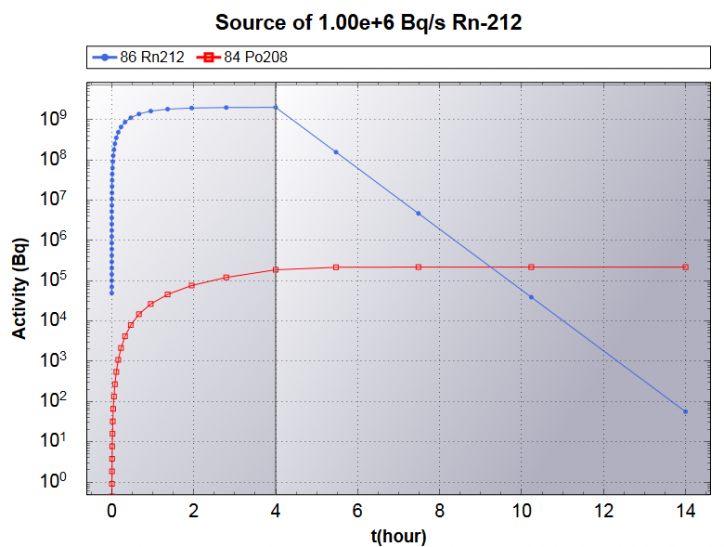 During the development of the Bateman solution for constant source terms, numerical instabilities were observed principally for short production and decay times typically used in practical applications. 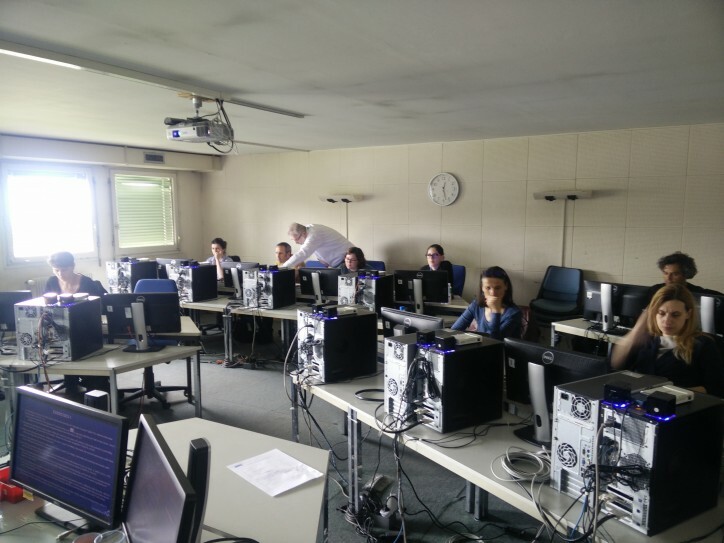 To overcome these issues a multiple precision mathematic library was introduced into Nucleonica giving the user the opportunity to select the precision of the Decay Engine++ calculations to avoid such numerical instabilities. The original spectrum (red) is shown with identified peaks (black triangles). The peak area (green) and the detection limit/threshold (blue) functions are shown superimposed on the original spectrum. The detection limit/threshold is proportional to the uncertainty in the peak area calculation. Only peaks with peak area function above the detection limit/threshold can be classified as real peaks. In the figure above, the spectrum in red shows the peaks and the background. The green curve shows the area function for the (red) spectrum. Associated with this area function is the detection limit / threshold function in blue which is related to the uncertainty in the area calculations. Only when the green curve lies above the blue curves are real peaks to be seen (denoted by a black triangle). It may be necessary to zoom into the peak area to see the exact location of the green and blue functions.